What Pokemon do you think Need/Deserve a Male/Female evolution line? Perfect examples are Primarina, Mawile and Goldeen. They have female-inspired designs, however a male counterpart is possible. Undersea Mermen are also told in legends just as Mermaids are. 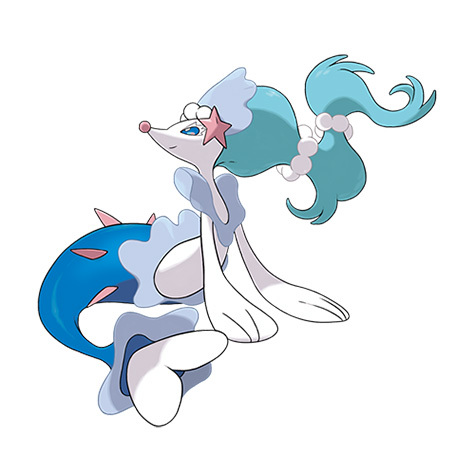 Gardevior (another female design), gained more male-centric form, so Primarina can hold this same flexibility. Goldeen clearly looks like a Queen fish, but can be male. Seaking is the reverse---it can be a female but it's name clearly has a male implication. Just as Pikachu's male/female genders have slight variation, they could pull it off for Goldeen/Seaking far as differing the eyes, horn and maybe color tint. Same with Mawile, just to distinguish each gender in their lines.